WIRED developed a unique guest blogging series spotlighting game-changers chosen for their forward-thinking perspectives and social influence. 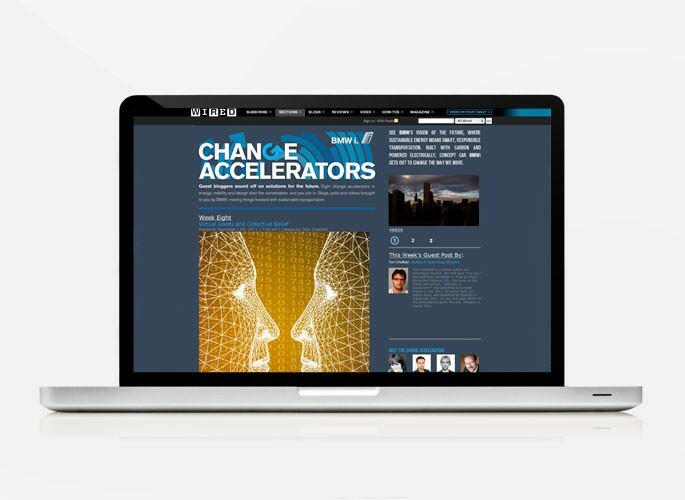 Digital: A dynamic blog environment lived off of WIRED.com’s universal navigation bar featuring daily posts. Visitors were able to easily comment on content and share provocative posts with prominently featured social share tools. 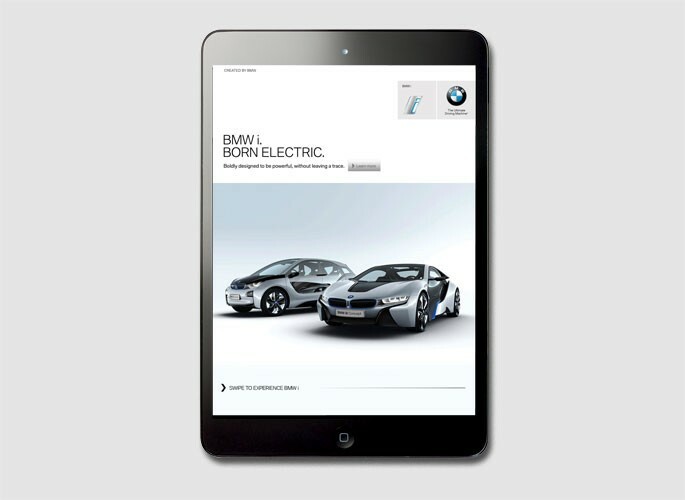 Video: The site housed three unique video assets supplied by BMW. 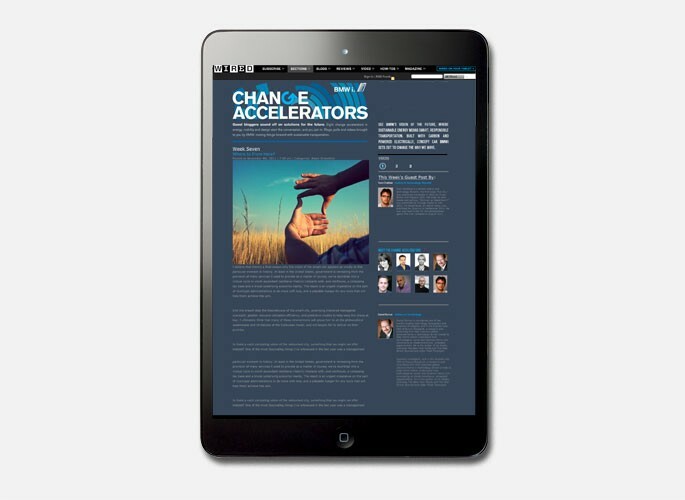 Print: Custom single leaf inserts supported upcoming content and recapped conversations stimulated by participating bloggers. One custom 1/6 promo unit was created to drive traffic. 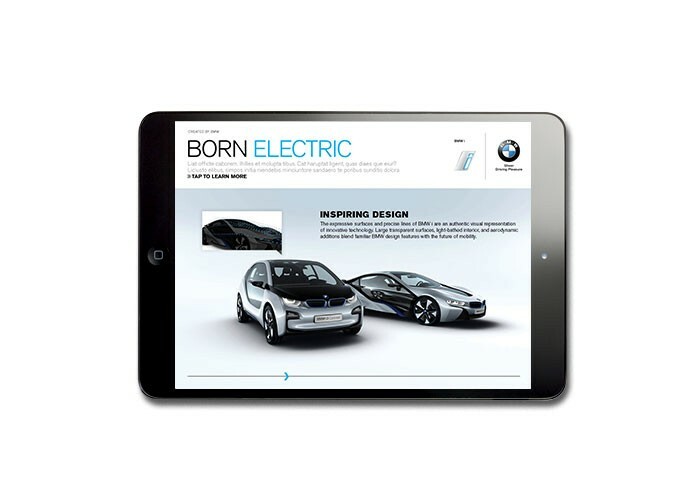 Tablet: To wrap up the Change Accelerators program, WIRED developed an immersive tablet application to unveil the BMW i. 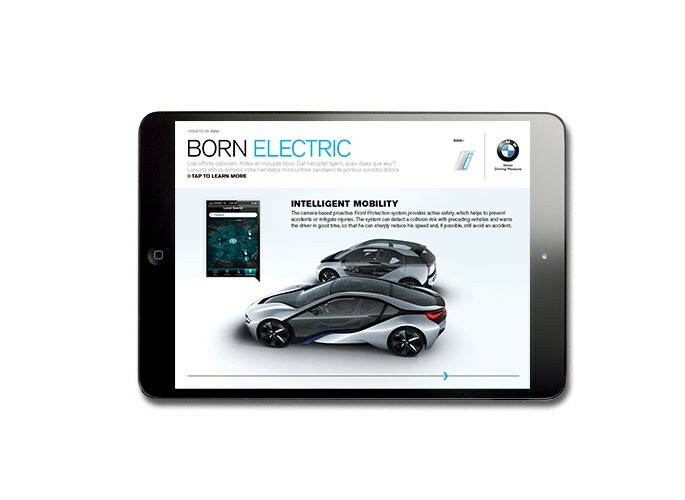 Users were able to explore the boldly designed BMW i3 and i8 vehicles with 360° swipe functionality. Six prominent hot spots highlighted vehicle attributes and rotated as users explored the vehicles. Social: Bloggers broadcasted their involvement via social networks. Additionally, select WIRED Insiders promoted the program via Twitter and Facebook.